It took awhile before we were able to identify the names of the mushrooms we ate and the plant for the tea that we regularly enjoy in Maligcong. Thanks to the kind people on the FB groups of Philippine Wild Mushrooms and Philippine Biodiversity, we now have a name for these living treasures. 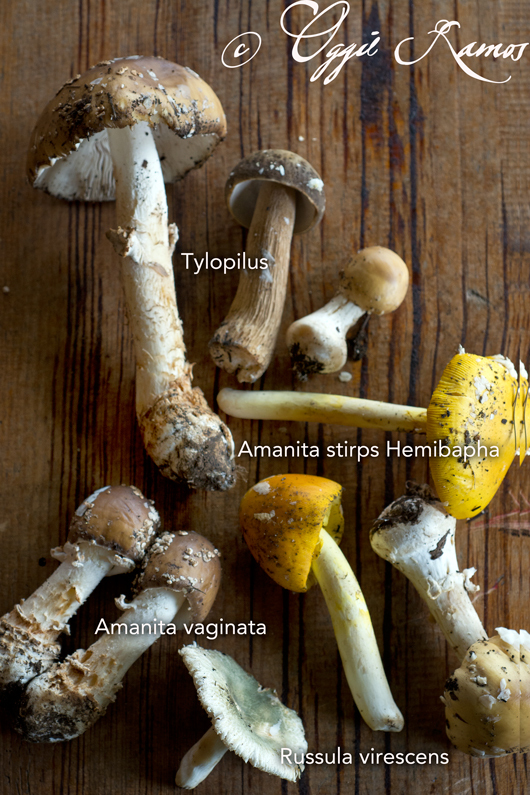 UP professor, Rolita Vijandre Spowart, was very generous in identifying the mushrooms Tylophilus, Amanita stirps Hemibapha, Amanita vaginata, and Russula virescens; further confirming that these were indeed edible (not that we didn't know that for I ate so much of them in trips past). My friends, Suzette and Tina, would walk for hours to the mountains and keep an eye for the fungus growing in the undergrowth, often spotting what I myself would have to strain to see. During our last trip, we were able to go up Mt Matuon and see for ourselves where the itsa (local for tea) leaves are harvested in the forest. Little did I know that the plant for the tea I regularly drink and enjoy when I take a break in Maligcong is a traditional herbal medicine. Its scientific name: Sarcandra glabra. 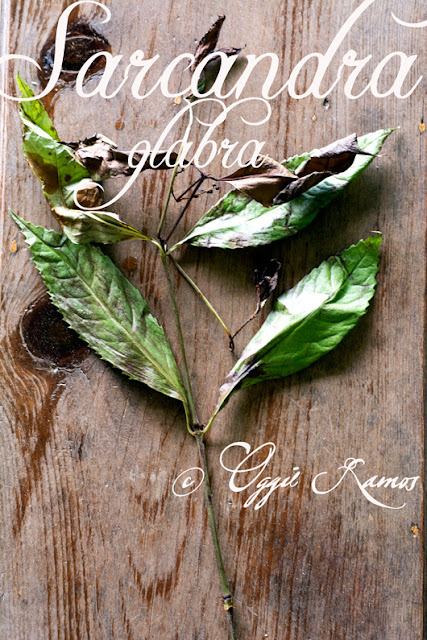 It's a herb used in traditional Chinese medicine for bleeding disorders as well as joint pains and body aches. While further studies have to be made, Memorial Sloan Kettering Cancer Center reports that extracts of the plant has been shown to stop cancer cells from multiplying in the laboratory. As of the moment, it has proven effects for the treatment of viral pneumonia, for increasing platelet production, and for reducing cancer treatment symptoms. Looks like the science is finally catching up to old remedies such as these. I call them living treasures of the highlands, at times overlooked and taken for granted by the locals themselves, but are thriving wealth of the land. One of the fringe benefits of being able to come back again and again to one place is the continuous exploration and discovery of things that a harried overnight visit could not afford to give the visitor. At times during forays to the mountains or the terraces, it's easy to see the big picture but miss the small details, the small things that grew underfoot or obscured by other, more colorful vegetation. Certainly, food for thought next time you wander up the highlands and see what's growing and living there.